They say “art imitates life” but I was still surprised to see the Gadsden Flag on the screens behind the band Muse as they performed their song Uprising at the Grammy Awards on Sunday. I’ve been flying the Gadsden Flag since I started speaking out against our “super-size-me” and out of control government two years ago after Rick Santelli’s rant gave rise to the Tea Party in February of 2009. 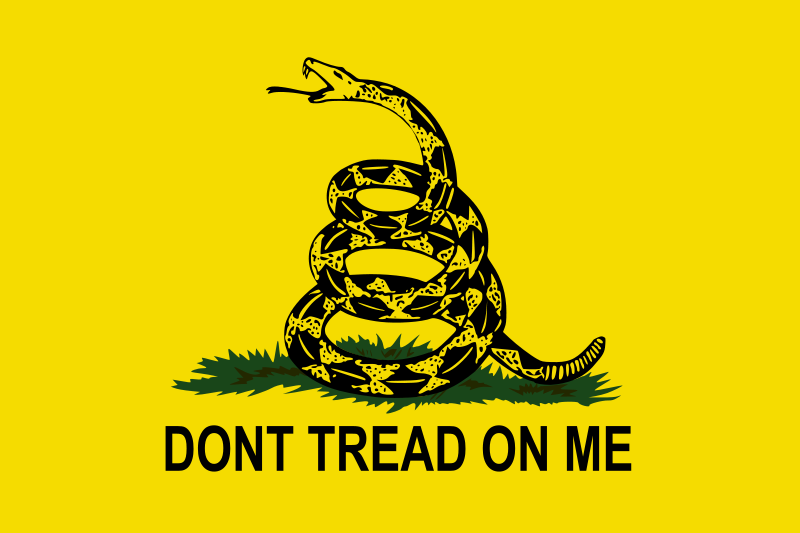 The Gadsden Flag has been adopted by the Tea Party to represent their movement. I don’t know the intention that Muse had in showing The Flag, maybe they meant nothing by it at all, but it is cool to see The Movement’s flag broadcast during a popular nationally televised event such as the Grammy Awards. ‹ Obama claims Unicorns do exist! They must have wrote his budget plan.